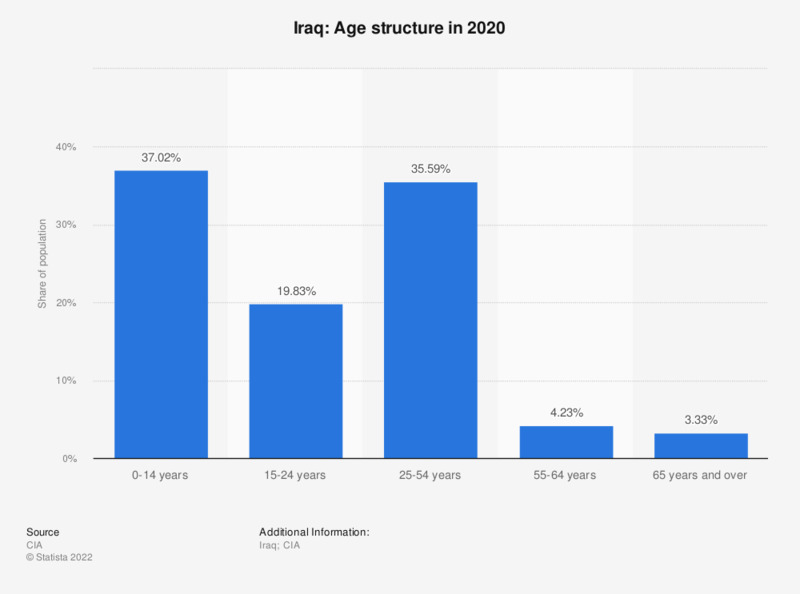 This statistic shows the estimated age structure in Iraq in 2017. In 2017, about 39.5 percent of Iraq's total population was estimated to be aged between 0 and 14 years. Everything On "Iraq" in One Document: Edited and Divided into Handy Chapters. Including Detailed References.